Corn has been growing in North America for thousands of years, and spread over time to Europe and South America, where it now grows in abundance. Long used as a food source, it’s rich in natural sugars as well as vitamins and minerals and has become a strong, staple, ingredient in the western diet. The stigmas of the plant, also known as the silk, have been used in different medicinal ways, while the kernels are eaten as a food source. Although we typically only pay attention to the kernels of the corn plant, Native Americans commonly used the corn silk of the plant as a remedy for various heart problems, malaria, and urinary tract infections. For this reason many people make use of corn silk tea today since it has been proven to have many health benefits, including those mentioned above as well as a bevy of many more. The main use of cornsilk tea in a medicinal sense in modern times is still for any problems related to the urinary tract. Drinking corn silk tea can be an effective way to detoxify the body if you are suffering from urinary infections. The antiseptic qualities that can be found in this particular tea have shown to be successful in reducing pains and toxins in the kidneys and bladder. Furthermore, it can help the body by keeping it from retaining as much water, which helps to flush out a weak system. What’s even better about this tea is that not only can it help ease and rid the body of urinary infections, it also helps to prevent further infection in the future. Another use it has is that it can be helpful in stopping young children from wetting the bed. Because it is rich in vitamin K, it also helps stop bleeding after childbirth, and has been used in the past as a natural cure for gonorrhea. Urinary tract infections and kidney stones may be aided with the ingestion of this tea, and because it is a mild diuretic, it helps keep the system flushed. Studies have proven that drinking corn silk tea can be a good way to ease the discomfort and pain of gout and arthritis. Drinking it will help to lower the acid levels in your body, which in turn can also help relieve the aches related to arthritis. Furthermore, other studies have shown that it may also have a use for other joint disorders as well. If you find yourself suffering from the uncomfortable feeling of aches and pains, corn silk tea can offer a quick and gentle way to get you feeling back to normal. Another great benefit that comes along with drinking corn silk tea is that it has been known to assist those that suffer from high blood pressure. The flavonoids in this particular tea can help to lower and decrease blood pressure if drank regularly. It can also help blood sugar levels from dropping too low, which can be beneficial for those that suffer from diabetes. Directions: To prepare corn silk tea, take one bag and allow it to boil in a cup of water for approximately 10 minutes. Sweeten with sugar or honey if desired. It is advisable to drink this tea at least three times a day, especially if it is being used to treat urinary infections. If you are currently taking any medications, contact your physician prior to drinking corn silk tea. Corn silk tea is a great remedy for those that are looking for a healthy, natural way to relieve themselves of many common aches and discomforts. Herbal teas are organic and unlike over the counter medications, you are less likely to experience any side effects with them. Corn silk tea can be kept in the home as a quick, gentle remedy for both adults and children. Luckily, this tea is very readily available. Usually it can be found in local health food stores, though for those looking for a more convenient way to purchase it, it can be found online as well. 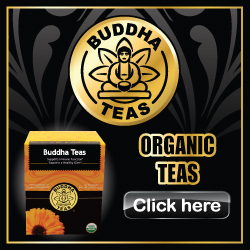 You can make your purchase from reliable vendors like Buddha Teas and have it delivered to the comfort of your home. We hope that this article has been able to answer any questions you may have, though if you do have any further inquiries, you are always welcome to contact us for more information.